We have added a report to the "Set TRX Audit File Beginning Balances" application under I/M -> Processing. This function used to be a processing-only application. By making this process also a report, users now have the ability to run the report with Deferred Processing. You may now run this report on the first of each month after 12:00AM as Deferred Processing so no one needs to manually run this application as a month end process. To run with Deferred Processing, enter spaces or zeroes in the "Enter Beginning Balance Date" field. 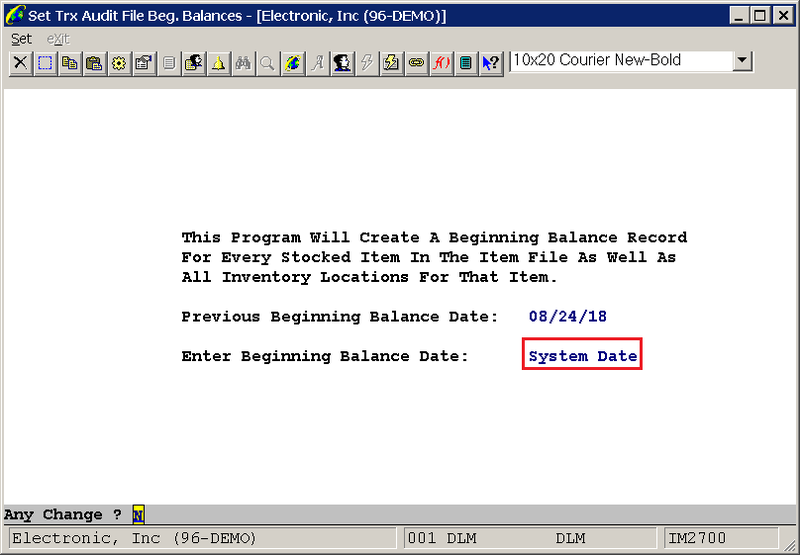 The system date will appear on the screen, and when the report runs the current system date will be used.